The 2019 Honda CR-V manages to push compact SUV styling further without looking too futuristic. A chrome grille sits high above the bumper, and a chrome character line swoops into the rearmost roof pillar. There’s a sense of motion even when the vehicle is at standstill, and you can customize the exterior with one of ten different colors. 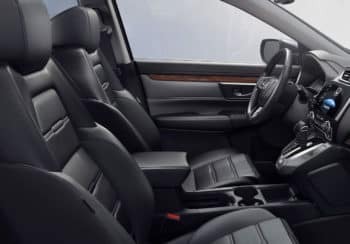 As noted by The Car Connection: “Great passenger space and a roomy, accessible cargo hold make the 2019 Honda CR-V an excellent crossover SUV choice.” With up to 105.9 cubic feet of passenger volume and 75.8 cubic feet of cargo space, the Honda CR-V is certainly big on utility. 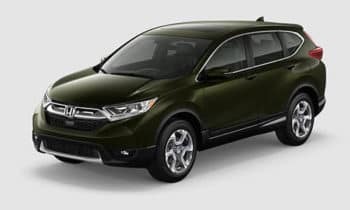 Whether you want to view the full range of Honda AWD vehicles, explore current special offers, or arrange a test drive, your nearest West Michigan showroom can help. For any further advice or assistance, feel free to contact us today.